As part of #UnGapTheMap, HUB Cycling is encouraging the introduction of bold and innovative infrastructure to connect Metro Vancouver’s cycling network. Cycle highways are getting more people biking in countries such as Denmark, Germany, Norway, the Netherlands, and the UK. Cycle highways are suitable for all ages and abilities and provide direct, safe routes across longer distances, connecting communities and major destinations, such as jobs, schools, and public transit. Cycle highways can help increase the number of people cycling, while greatly reducing roadway congestion and greenhouse gases. HUB Cycling's North Shore Local Committee has been working closely with the Ministry of Transportation and Infrastructure to ensure cycle highway infrastructure is included as part of the improvements. Construction is expected to be completed in Fall 2018. The video below provides a sneak peak of a portion of the cycle highway heading westbound on Hwy 1. More details can be viewed here. 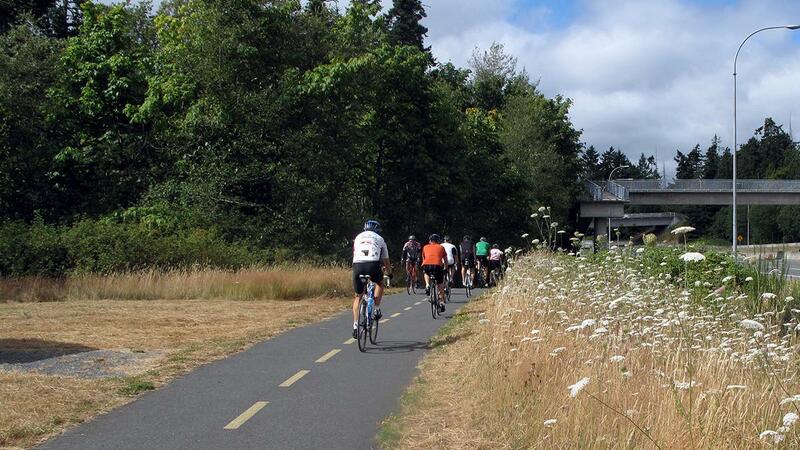 Running on old rail lines and greenways from Swartz Bay Ferry Terminal, through Saanich and Victoria, and ending in Sooke, parts of these trails resemble cycle highways, with paved, off-street pathways and grade-separated crossings. Currently in Metro Vancouver the closest thing we have to a cycle highway are sections of the Central Valley Greenway (CVG) and BC Parkway. Both routes are long and wide enough to accommodate cycle highways, where paved, and lit paths with separation between people cycling and pedestrians could be implemented. This route is one of 45 planned cycle superhighways in Denmark's Capital Region, running 17.5 kilometres from the Municipality of Abertslund to downtown Copenhagen. Currently spanning 167 kilometres, Denmark's cycle superhighways network includes on-route amenities such as bike pumps, while traffic signals that prioritize cycling (known as a 'green wave') reduce wait times at intersections and junctions. These new routes are especially beneficial for people who are making journeys that are over five kilometres in length and once fully complete, will generate a socio-economic surplus of 765 million euros ($1.1 billion CAD)! Cycle highways are planned throughout Germany as part of an ambitious 100 kilometre regional cycling strategy. 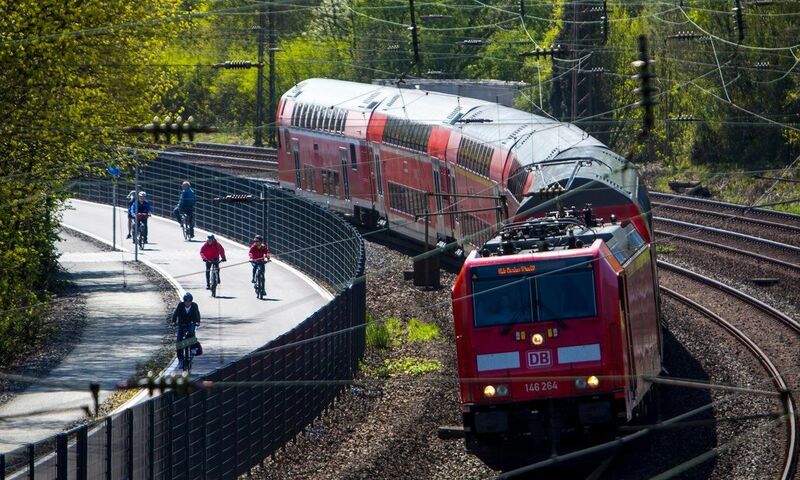 Major cities beyond the Ruhr Area, including Frankfurt, Berlin, Munich, and Nuremburg are considering connecting their city cores to the surrounding suburbs with cycle highways. 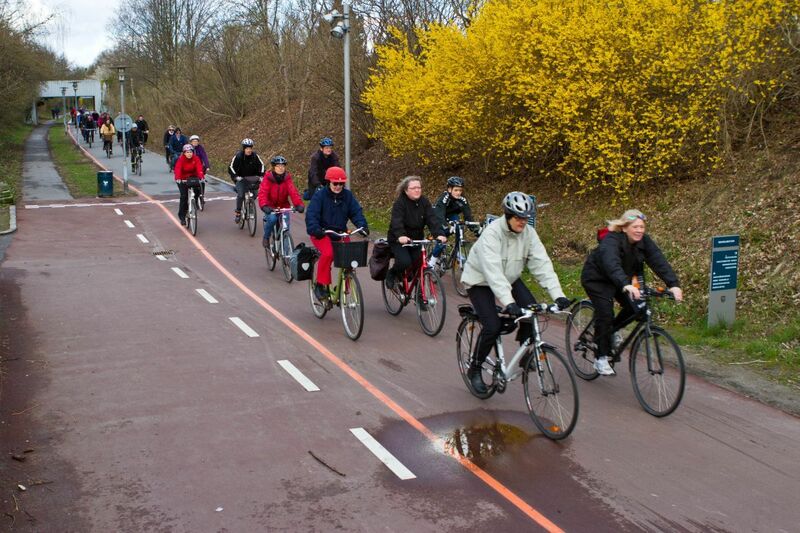 According to the Regional Association Rhur, Germany's cycle highway network is expected to remove 50,000 motor vehicles from the road, resulting in an annual reduction of about 16,000 tones of Co2 emissions. You can support our cycle highways campaign by emailing your MLA and BC’s elected leaders and asking them to consider and allocate funding for cycle highways in all new projects. With your support, cycle highways could play a major role in achieving the Ministry of Transportation and Infrastructure’s cycling policy objectives and help to #UnGapTheMap across Metro Vancouver.